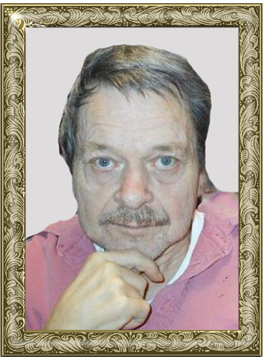 Rex Lynn Millsaps, age 69, of Kannapolis, passed away on Wednesday, January 30, 2019, at the Brian Center Cabarrus in Concord after several years of declining health. Mr. Millsaps was born December 15, 1949 to the late Esker Ray Millsaps and the late Nena Louetta Millsaps. Mr. Millsaps was a lifetime resident of Kannapolis and had a variety of occupations through the years including working at Cannon Mills, painting, doing handyman work, and was a talented amateur welder. He enjoyed gardening, fishing, firearms, and was especially fond of having breakfast at the Waffle House. In addition to his parents, he was preceded in death by his brother, Raymond Millsaps. He is survived by: his sister-in-law, Linda Key Millsaps of Georgia; niece, Kathy Millsaps of Georgia; three grand-nephews, numerous cousins and friends. Mr. Millsaps will be laid to rest at Shady Grove cemetery in Alexander County alongside his parents. A private service will be held at a later date. Adams Funeral Home and cremation services is serving the family of Mr. Rex Millsaps.